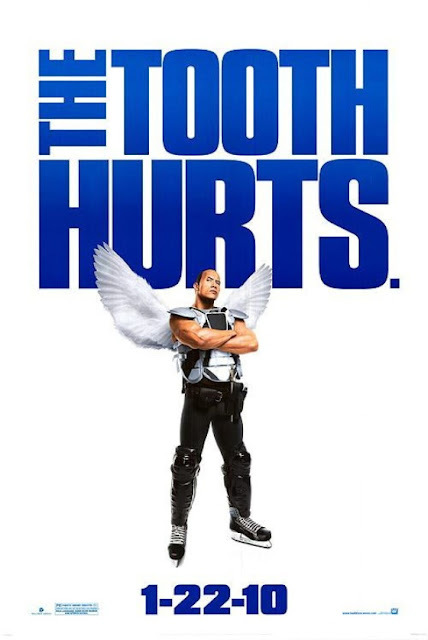 Derek Thompson (Dwayne "The Rock" Johnson) is a minor league hockey player given the nickname "Tooth Fairy" because of his habit to charge on to opponents and separating them from their tooth. Derek is also the kind of person that doesn't believe on possibilities. 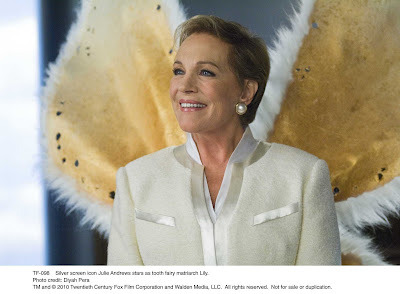 That is why, one day after attempting to convince Tess (Destiny Witlock), his girlfriend Carly's (Ashley Judd) daughter that Tooth Fairies doesn't exist, he is forced to be transported to the Tooth Fairy Land by the Tooth Fairy Chief, Lily (Julie Andrews) to serve as one of them. The tooth fairy is entertaining enough. Dwayne Johnson could be not a good actor at all but surprisingly I'm very entertained whenever I watch him in this kind of movies. His last movies such as Get Smart, Game Plan and Race to Witch Mountain are all decent movies. 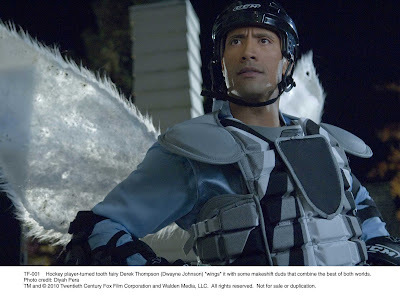 Surprisingly Dwayne Johnson has a good market on kiddie friendly films which is good for his career. The movie also got enough good talents such as Ashley Judd, Julie Andrews and Billy Crystal. Julie Andrews is perfect on her character as a chief fairy. The story has a common blue print. A boyfriend trying to win the children of his girlfriend's trust after losing their own father. But what makes this movie unique is the introduction of the Tooth Fairy land which is a very magical experience. But despite the very amusing concept, I still notice some hints of similarities to other films such as the similarities of the Tooth Fairy Factory to the Elf Factory of Santa Clause as depicted on several Santa Clause flicks. The movie is quite short, I would be happy if the writer explored more areas in the Tooth Fairy Land. To sum it up, The Tooth Fairy is family oriented film for all ages that will surely give you enough laughs and enchanted experiences. Perfect for a weekend family or clique day out. The film premieres this coming Friday, January 22, 2010 from 20th Century Fox to be distributed by Warner Bros.